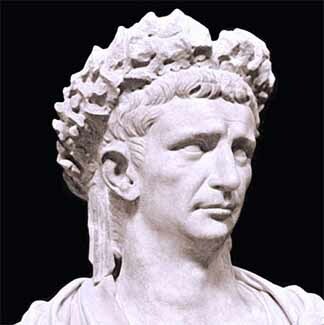 It was the Emperor Claudius who gained the most from the Roman invasion of 43 AD. The increase in his public image was phenomenal. Now having proven himself and been accepted as an Emperor, he decided that this was a reason to have a celebration. These took place in 44 AD. in the form of bestowing honours upon Claudius, poems of commemoration, an issue of special coins and the building of two triumphal arches. One stood in Rome, the other on the coast of the Channel. These were not dedicated until 52 AD. The time lapse possibly being caused by the time it took to design and build them. Both Claudius and his son were bestowed with the title Britannicus. This was in keeping with the Roman tradition of granting honors using the name of the conquered territories. The senate then did something that was unique. 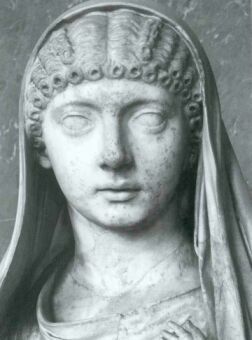 They gave a seat on the Senate to Claudius' wife, Messalina. She was also allowed the use of the carpentum at state ceremonies. This was normally reserved for the consuls and the Vestal Virgins. Claudius' commanders were given the honour triumpalia ornamenta. Claudius felt he had finished the task first attempted by Julius Caesar, his uncle, and so this created a special link between them. 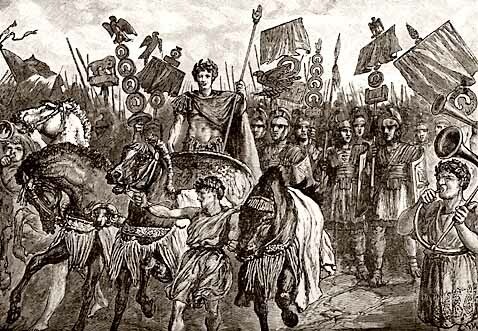 The highlight of Claudius' celebrations was a procession through Rome. This too time to arrange as the Romans were very much into Protocol. This meant that everyone in the procession must be in a certain place, according to their status. Claudius and his wife led the parade, with his commanders behind. It was customary for the larger cities to donate wreaths of gold to the Emperor. This custom extended to guilds, who supplied other items to be presented to the Emperor. It is recorded that the Guild of Traveling Athletes donated a golden crown. Commemorative coins were minted for the occasion. They were minted in 46, 49, 50 and 51 AD. all having the inscription 'De Britannis' along with an image of a triumphal arch.